The Spotify app for iOS is a great alternative to Apple Music for streaming content to your iPhone, iPad or iPod Touch. You may have used it for a while now, but are you getting the best out of it? 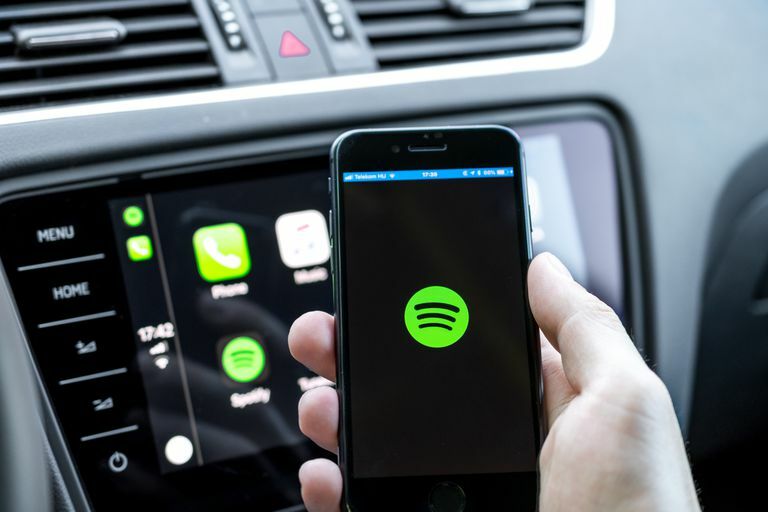 Like all apps, Spotify is constantly evolving its iOS app and rolling out new versions which have bug fixes and new features that you might not be aware of. After all, who reads the release notes every time a new version comes out? To help you get the best out of using the iOS Spotify app, take a look at this article which gives you tips and tricks -- one of which could save you a heap of money. If you've downloaded the iOS Spotify app and used the ad-supported free account for a while then you might have considered upgrading to a Spotify Premium subscription. You can do this via the app which is an easy way to pay every month using your Apple ID. But, did you know it works out more expensive this way? You'd be forgiven for thinking that Apple wouldn't charge for this privilege, but it does. You'll end up paying quite a bit more than you need to. Rather than opting to pay per month via Apple's App Store, it is much better to steer well clear of their ecosystem altogether and sign up via the web. Go to the Spotify website using your iOS device's Safari browser. Tap the burger menu icon near the top right-hand corner of the screen and choose Log In. Sign into your account using either Facebook or typing in your username/password and then clicking Log In. Scroll down to the subscription section and tap on Get Premium. Incidentally, if you need Spotify for more than yourself then it's worth looking at the family option. On the next screen scroll down until you see the payment methods. Tapping on the ... icon (three dots) gives you a list of payment methods to choose from. Once you have entered your payment information tap Start my Spotify Premium. If you've got Spotify's desktop software installed on your computer then you can also go premium using this route as well. It still directs you to the Spotify website, but at least you won't be paying over the odds via Apple's App Store. The iOS Spotify app has a few settings that can be tweaked in order to improve the quality of the music you stream. Tucked away in the settings menu are several options for improving audio playback. This includes options for better audio when streaming and also when using Spotify's Offline Mode for download songs to your device -- useful for when you can't stream via the internet. Like most users, chances are you've never touched these options and so they get left at their default settings. This is OK for general listening, but you can optimize them even further to maximize sound quality. The first thing to do is tap the burger menu icon (3 horizontal bars) near the top left-hand corner of the screen. Choose the Settings sub-menu which is represented by an image of a cog. The first setting to tweak is for streaming, so tap Steaming Quality. To modify the audio quality that songs get streamed to your iOS device, locate the Stream Quality section. You'll see that the default setting is set to automatic. This is good to use if your iPhone has a data limit, but you can get better quality by changing it to a higher setting. By default, music is streamed at a bitrate of 96 Kbps. However, there are two higher modes worth using if you don't need to watch your carrier's data limits. Tapping on High will get you 160 Kbps, while Extreme will provide the maximum 320 Kbps. Incidentally, this top setting is only available if paying a Spotify Premium subscription. As well as improving the audio quality of streams you can also get better song downloads when using Spotify's Offline Mode. To do this, tap either High or Extreme in the Download Quality section. Just keep in mind that if using the Extreme setting download times will also be increased and more of your iOS device's storage will be used. When you have tweaked these two settings you can return to the main settings menu by tapping on the back arrow in the top left-hand corner of the screen. One nice feature in the iOS Spotify app that can instantly enhance audio quality is the Equalizer (EQ). To get you started the EQ tool comes with over 20 presets. These cover common EQ profiles such as bass enhancement/reduction and various music genres. You can also create your own EQ profile by manually adjusting the frequency bands to fit your listening setup. Before following the steps below it might be a good idea to start playing a song so you can hear how the sound is affected as you use the EQ tool. To get to the EQ tool, tap Playback in the Settings Menu. Tap Equalizer -- scroll the screen down a bit if you don't see this. The equalizer is disabled by default so tap the slider button next to it. Look through the list of presets and tap on one to use it. If you want total control then slide your finger up and down on each of the dots to adjust the individual frequency bands. When you have finished setting up the EQ tool, tap the back-arrow twice to return to the Settings Menu.